STEAM Girls is an educational opportunity empowering girls in Middlebury, VT with the world of STEAM (Science, Technology, Engineering, Art, and Math). Middlebury College students partner with the town of Middlebury to create fun and confidence building learning opportunities for girls ranging in age from 7-14. We want to teach girls at a young age to approach STEM subjects with confidence and curiosity. We believe that with visual based learning and strong female mentors we can engage girls starting at a young age to build confidence that will last a lifetime. We also believe in the power of collaboration and aim to create a supportive community of STEAM Girls! why are women in stem so important? select images to see the sources. ​in computer science so important? STEM occupations are growing faster than non-STEM occupations. Computer science makes up 60% of the projected STEM jobs and is projected to grow 13% by 2026. However, females study computer science at a significantly lower rate than males. 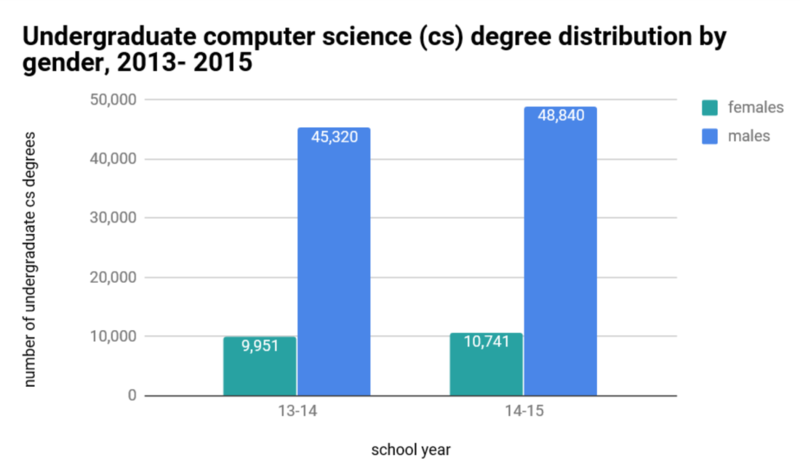 Computer science is one of the only STEM occupations that has seen a decline in female representation. We believe in the importance of STEM, especially computer science. We believe that women must be a part of this movement.